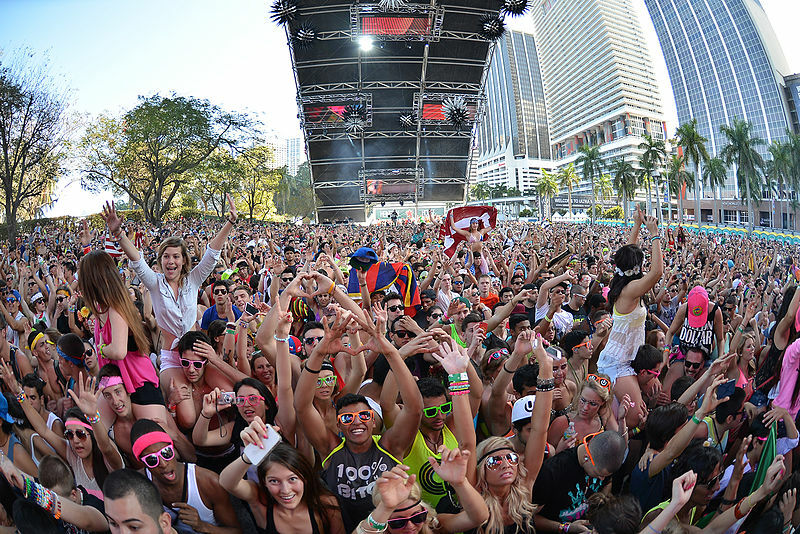 Due to problems with shuttle buses Friday night at Miami’s Ultra Music Festival, an estimated 70,000 party-goers had to walk home for hours in the middle of the night. Tired and angry, concertgoers who had paid $400 a ticket, had to wait for hours to board a bus only to end up walking for miles along a bridge at 2 a.m. Thousands refused to wait in line for the buses after a night of drinking and abandoned the shuttle bus plan to cross the Rickenbacker Causeway, walking nearly four miles to downtown Miami. The three-day electronic music festival was held on Virginia Key Island, a tiny island directly south of Miami Beach, attached to the shore by a long, two-lane bridge and the only way to get out was to walk across the causeway. Organizers said they failed to predict so many people would be leaving at once but they promised a “significantly improved transportation experience” for the rest of the festival, which continued Saturday and Sunday. Unfortunately, ride-sharing services such as Uber and Lyft were also banned from picking up anyone on Virginia Key.